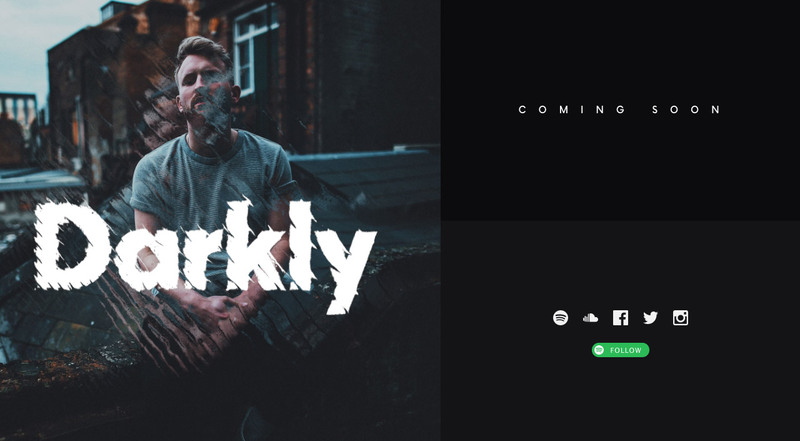 Launching soon page announcing the upcoming single “Waiting On You” from artist ‘Darkly’. The One Page website features a neat hover-sensitive parallax effect. The Official website for singer and producer Darkly. New single "Waiting On You" coming soon.